URDORF (CH) - In some copper mines, valuable quantities of gold are present in the ore. Extracting it from the waste from copper refineries requires careful monitoring of the oxidation reduction potential (ORP). In a new white paper, Mettler-Toledo explains how use of their in-line ORP sensors at a Rio Tinto refinery is increasing gold yield. 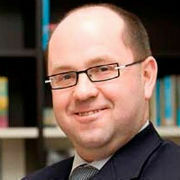 The substantial rise in the value of gold over recent years is convincing mining companies to examine how more of the metal can be recovered from their processes. Rio Tinto's Kennecott Utah Copper refinery in the USA operates a precious metals plant where the slimes (residue) from copper anode electrorefining undergo treatment to remove precious metals. In a process called wet chlorination, significant quantities of gold are recovered from the copper slimes. To monitor the process and indicate when complete dissolution of the gold has been reached, engineers employ Mettler-Toledo in-line oxidation reduction potential (ORP) sensors. Continuous measurement of ORP prevents gold from being left in the process waste, and excessive and costly chlorination. 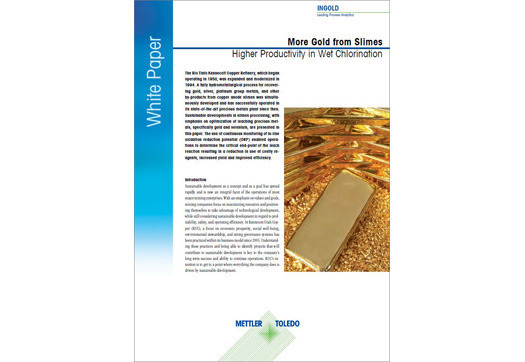 Mettler-Toledo's white paper, "More Gold from Slimes – Higher Productivity in Wet Chlorination" explains how use of ORP sensors at Rio Tinto's refinery has increased gold yield and improved wet chlorination efficiency.